Liverpool’s bargain summer signing Joel Matip has been patiently waiting to hear You’ll Never Walk Alone at Anfield for the first time. Our summer friendlies didn’t feature a single game at home due to the expansion work on the New Main Stand, which has also meant our first four games of the campaign have been played away from home. On Saturday though, we’re playing our first home game of the season after this irritating international break we’re halfway through; hosting Premier League champions Leicester. In front of 54,000-odd people, you can be sure the atmosphere will be sensational and the defender – expected to start alongside Dejan Lovren at the back – will be able to sample it. 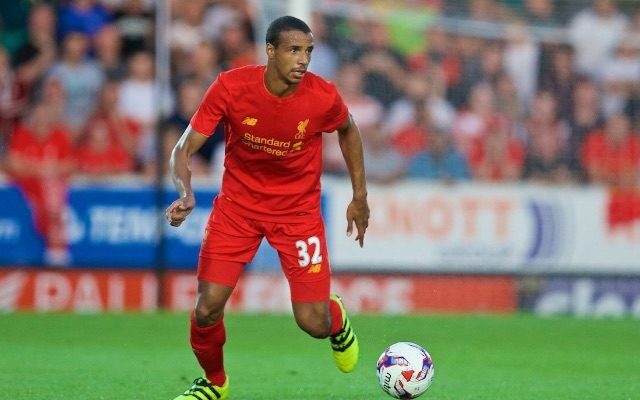 “I’ve been waiting the whole pre-season to make my first steps at the stadium,” Matip told Liverpoolfc.com. “I think Liverpool is famous for its stadium, for its atmosphere. It will be a great atmosphere and I’ll be happy when I can play there. “To hear ‘You’ll Never Walk Alone’ for the first time at the stadium will be a special moment and I will enjoy it. At Dortmund I like [You’ll Never Walk Alone] – you can compare them a little bit to Liverpool but it’s not the same. “Dortmund, sometimes they sing, but they’re not really famous for this, Liverpool is famous for this song and the atmosphere at the stadium. It will be something else. We’ve been mightily impressed with the Cameroonian so far, who’s added composure and height to a defence that conceded five goals in the two games he missed. The fact he didn’t cost us a penny makes the deal all the more exciting. Hopefully, he can now form a proper, consistent partnership with Lovren at the back. Tweet: I am voting in @TheFBAs for @empireofthekop as the Best #Social Football Blog!